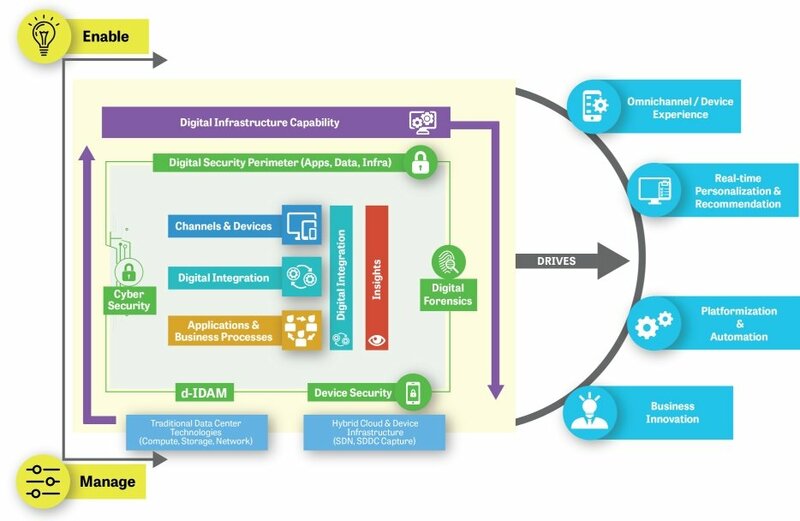 Digital Enablement is all about influencing an enterprise Digital Transformation journey through Digitalized Business Platforms achieving enhanced Customer Experience & smarter Business Processes leading to innovative business mode. Enterprises over the world are touting large-scale digital transformation as the foundation for a business transformation, to make enterprises scalable, agile and future-ready. Digitization today refers to more than merely taking assets online or leveraging the cloud. It is actually Digitalization, not mere Digitization. Digitalization refers to the smart consumption of digital assets in order to maximize operational excellence, implement intelligent processes, monetize internal resources, and enhance the customer experience. With the massive amounts of data that we generate today, there is a growing need for the efficient management of these data, and an intelligent way to use it. This is where digital business platforms and solutions that enable digital transformation, come in.